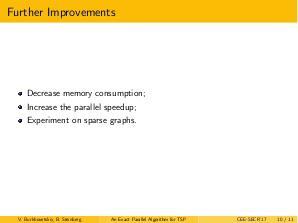 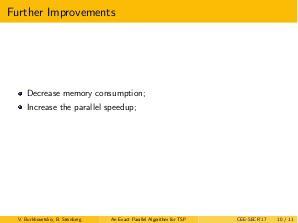 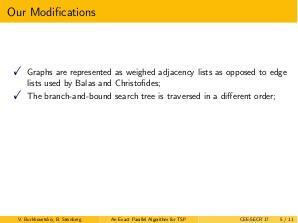 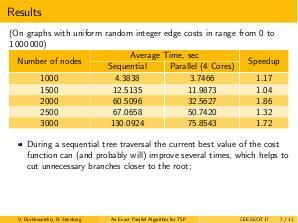 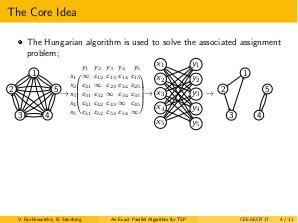 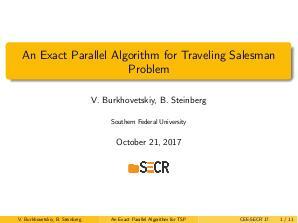 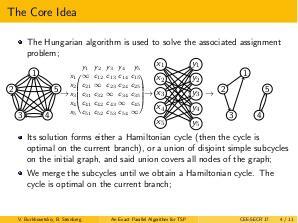 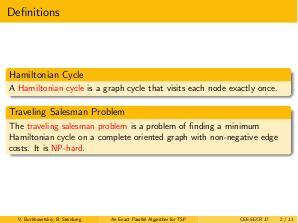 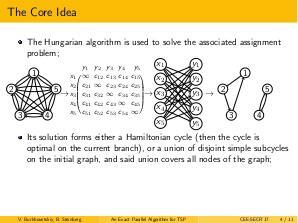 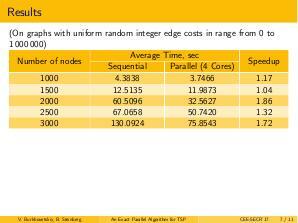 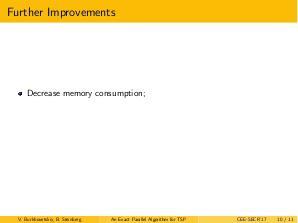 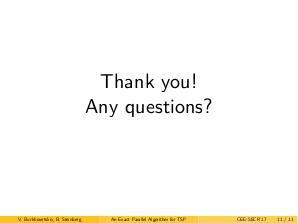 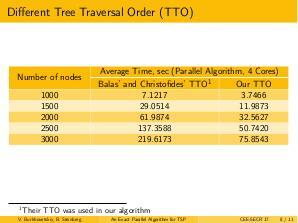 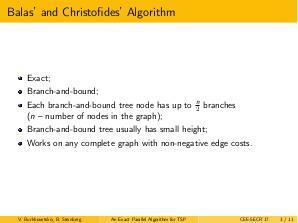 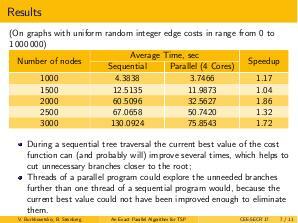 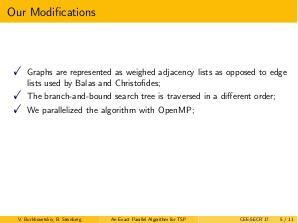 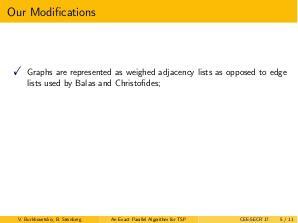 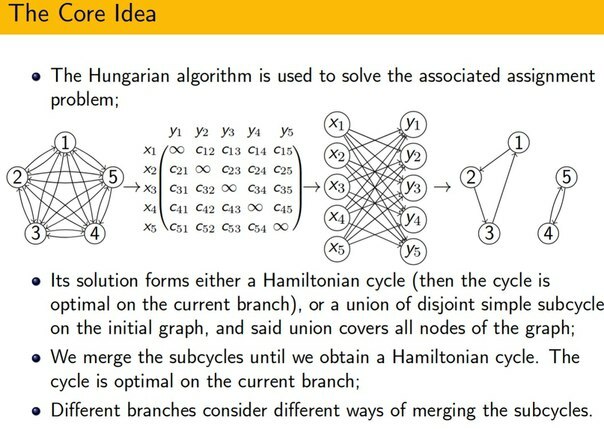 We describe an exact algorithm for traveling salesman problem based on simplified branch-and-bound algorithm developed by E. Balas and N. Christofides, parallelized with OpenMP on a multi-core processor. 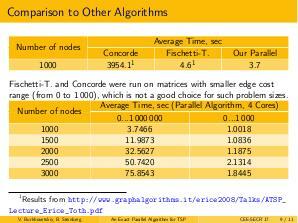 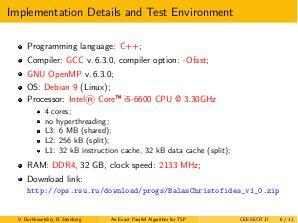 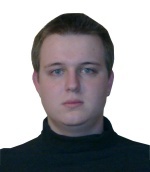 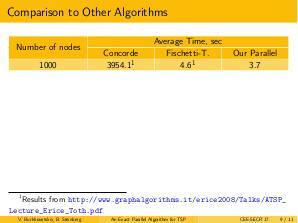 It has shown better performance than algorithms in preceding articles and works. 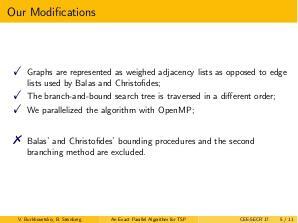 Our article is intended for people who use parallel programming technologies, deal with mathematical optimization problems, have interest in perspective algorithms for bioinformatics or NP-hard problems.